German independent watchmaker Wilhelm Rieber has just completed the world’s first flying tourbillon wristwatch with a spring detent escapement, a wonderful example of watchmaking made even more remarkable by the fact that Rieber works alone. 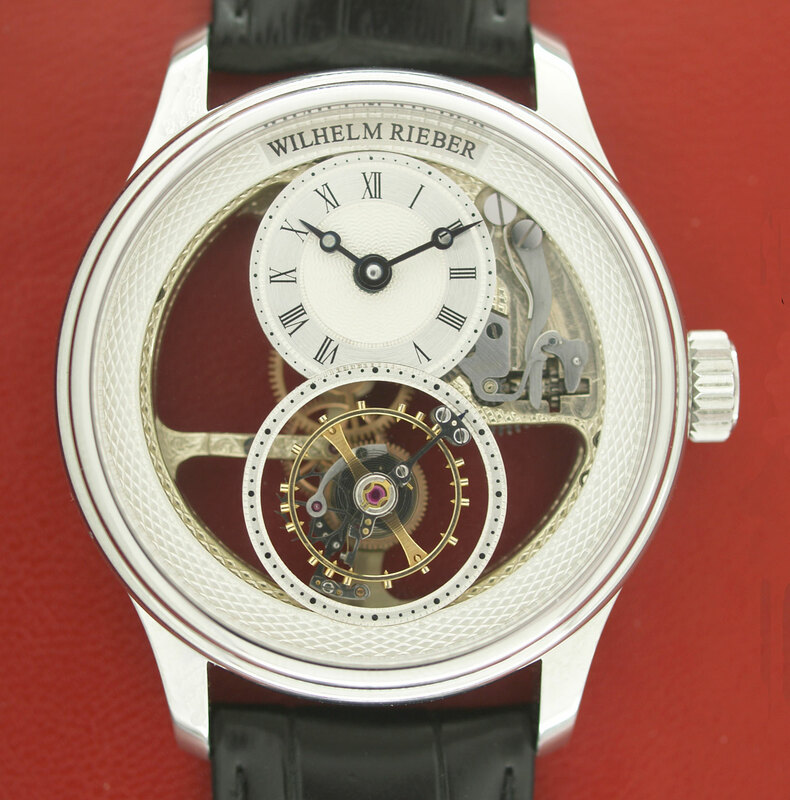 Wilhelm Rieber is a German watchmaker who makes watches the traditional way. His latest timepiece is remarkable in itself – the world’s first flying tourbillon with a spring detent escapement. That’s made all the more impressive by the fact that he makes all his watches himself. Based near Pforzheim, the historical heart of German watch- and clockmaking, Rieber works solo, making most of the movement components as well as dial and hands. He produces the parts the traditional way, on a lathe or with a saw, eschewing CNC machines. Specialising in flying tourbillons in wrist or pocket watch form, he makes no other watches, Rieber completes only two tourbillons each year. 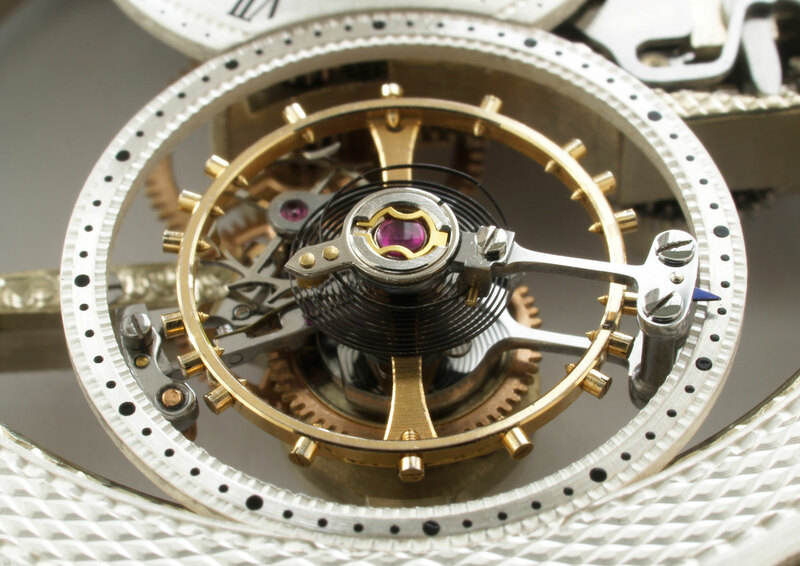 Last year he completed a pocket watch tourbillon with a detent escapement, which led to the recently finished wristwatch version. Spring detent escapements were often found on high precision marine chronometers, favoured for their extreme accuracy and low friction. Such an escapement is direct impulse, meaning the balance wheel provides the impulse directly to the escape wheel, without the need for a pallet fork. 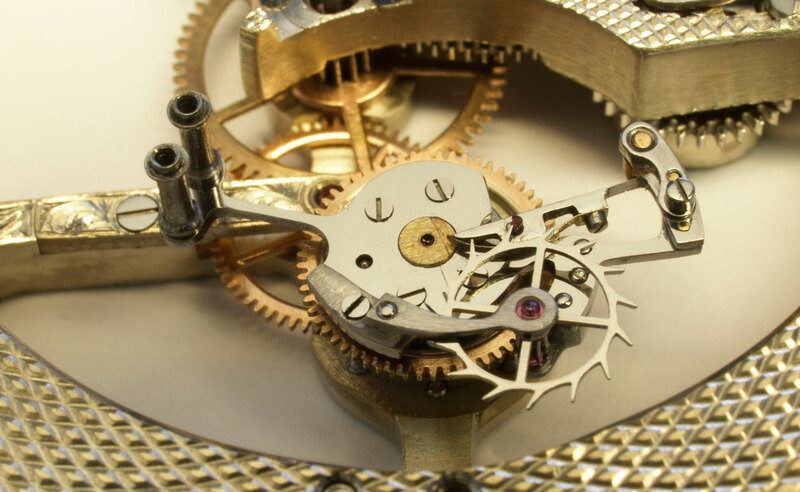 Put simply, the escapement is dependent on a thin spring and lever (hence the name), which keep the escape wheel locked or going forward. And because the impulse pallet nudges the escape wheel once per oscillation (instead of twice with a sliding motion as in a lever escapement), it works with little or no friction. 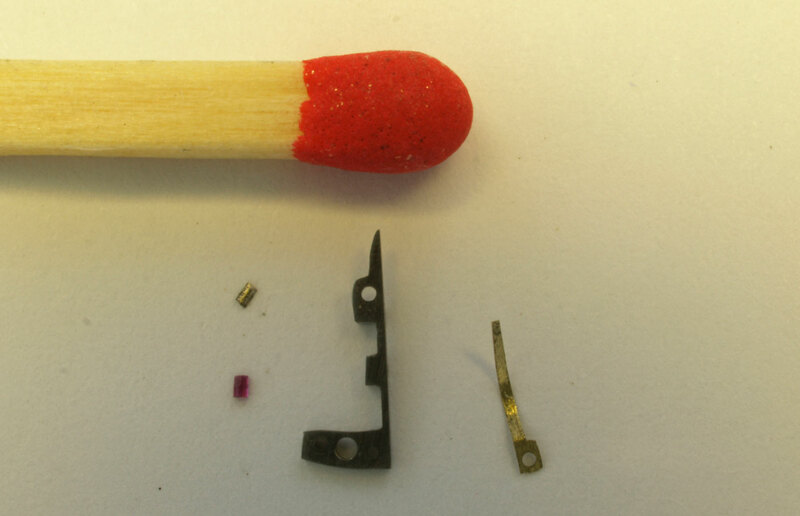 But spring detent escapements are fragile and tend to stop when jarred, and consequently rarely made their way into wristwatches, which suffer a lot more shocks than clocks or pocket watches. In order to adapt the spring detent escapement to withstand the shocks borne by a wristwatch, Rieber tweaked the components of the escapement, including optimising the angle between the detent spring and escape wheel. 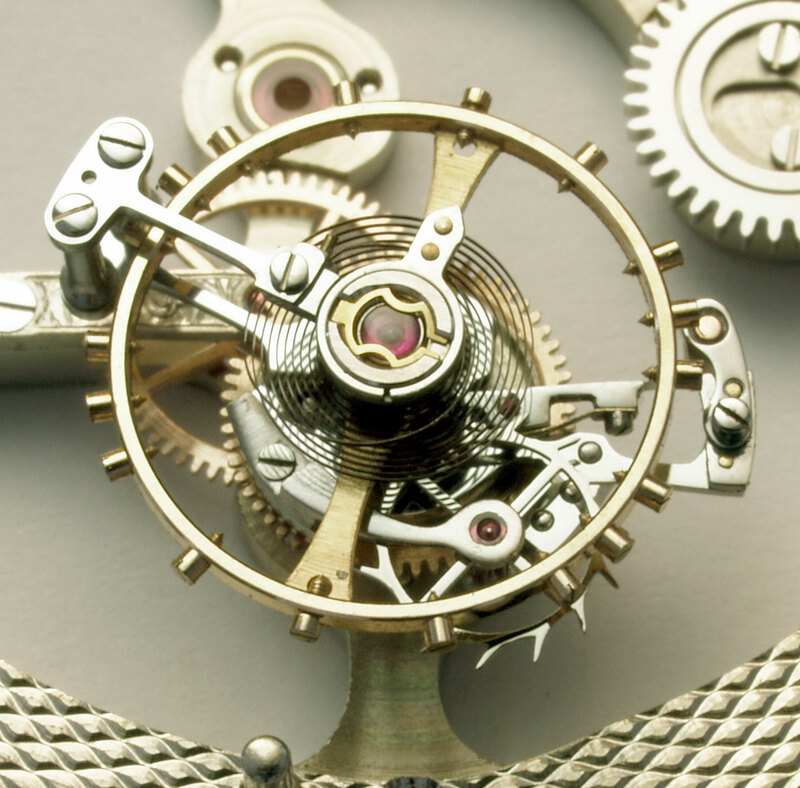 According to Rieber, the greatest challenge in constructing this movement was miniaturising the components of the escapement to fit in a wristwatch movement just 34 mm across. 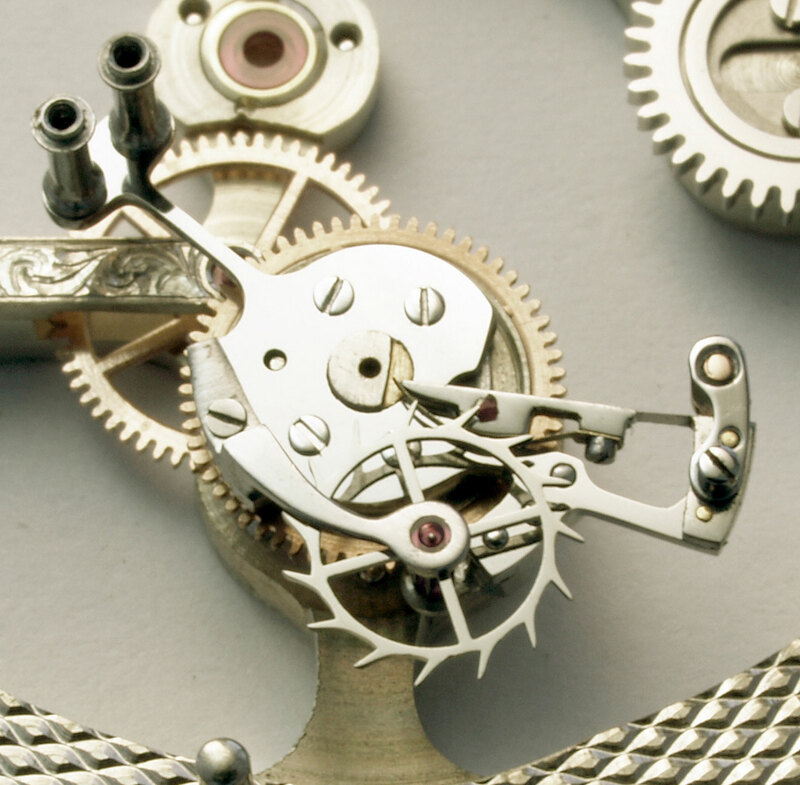 Rieber makes most of the movement himself, including the minuscule parts of the escapement: the escape wheel measures just 5.5 mm in diameter, while the spring is just 6.4 mm long. The Wilhelm Rieber Flying Tourbillon With Spring Detent Escapement has a 42 mm case, and the movement is manually wound with a 36 hour power reserve. 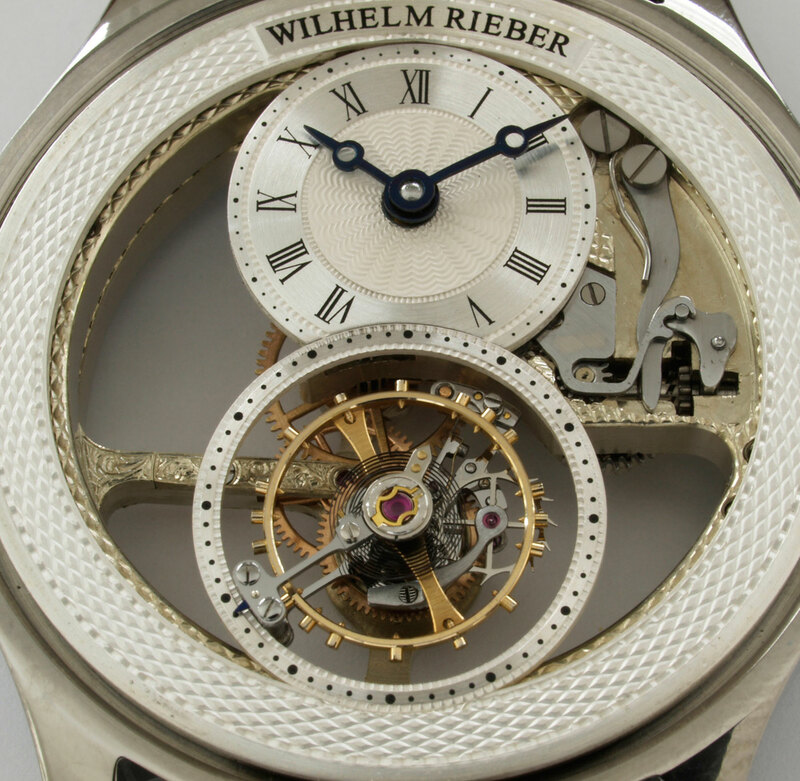 It is priced at €220,000, equivalent to US$270,000, and can be ordered directly from Wilhelm Rieber. German independent watchmaker Wilhelm Rieber marked the 220th anniversary of his family's watchmaking heritage by creating a Jubilee Flying Tourbillon pocket watch, equipped with a spring detent escapement.